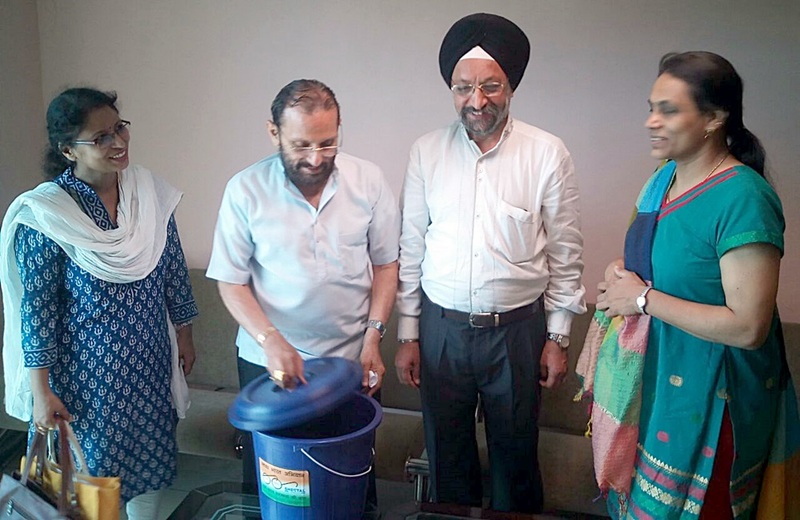 A delegation of DWARKA FORUM consisting of Ms Madhuri Varshney – President, Shri Arvinder Singh Chhatwal – Vice President, Ms. Swarna Latha- Member had separate meetings with Shri Shyam Sharma, Mayor, South Delhi Municipal Corporation and Shri Subhash Arya, Leader of House ( SDMC) on Friday, the 17th June, 2016 in their respective Offices. The Forum members raised their concern about the sanitation situation in Dwarka, which is getting worsen day-by-day and also discuss the issue of implementation of SDMC’s recent Circular of Waste segregation in the Dwarka Sub City. Ms Madhuri briefed the Mayor about the door to door campaign on SWM in the societies by the Forum members and offer every possible support to SDMC Staff in this regard. 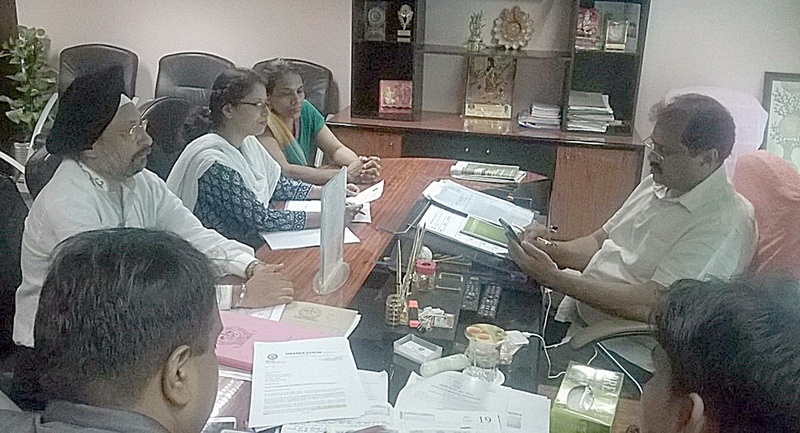 Shri Chhatwal briefed about the poor sanitary conditions in the entire Dwarka Sub City. He also brought to his knowledge about the Market Plot of Sector -8, Dwarka occupied by SDMC for more than ten years and requested Mayor Sahib to intervene for vacation of this plot, so that Market can be constructed by DDA there. 1. Very soon garbage bins will be provided to vendors in each ward through councillor so that spreading of garbage can be avoided. 2. The garbage collection and disposal in Dwarka sub city will be outsourced. Contract will be given for 7 years. It will take next two months for materialise the things done on ground. 3. Every Vidhan Sabha will be provided one shredder for dealing horticulture waste. They assured Dwarka Forum for every possible way to help Dwarkaities in dealing with garbage and sanitation problem. Radio is Ultimate Source of Information & Entertainment.